Stockport County FC Community Foundation are running under 16's weekly disability football training sessions. 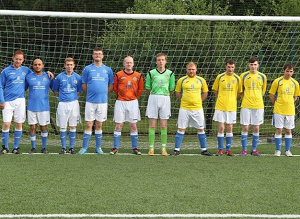 Stockport County’s Community Foundation have secured funding through ‘Grow the Game’ to expand the disability activities available in Stockport. Session two is for Adults, with learning difficulties/disabilities Adults and will run every Wednesday at the Indoor Life Leisure facility in Reddish. Everyone is welcome regardless of ability or footballing experience. This is also an opportunity for you to be selected to represent Stockport County FC in the Cheshire FA ‘Ability Counts’ League each month. Click here for more information.